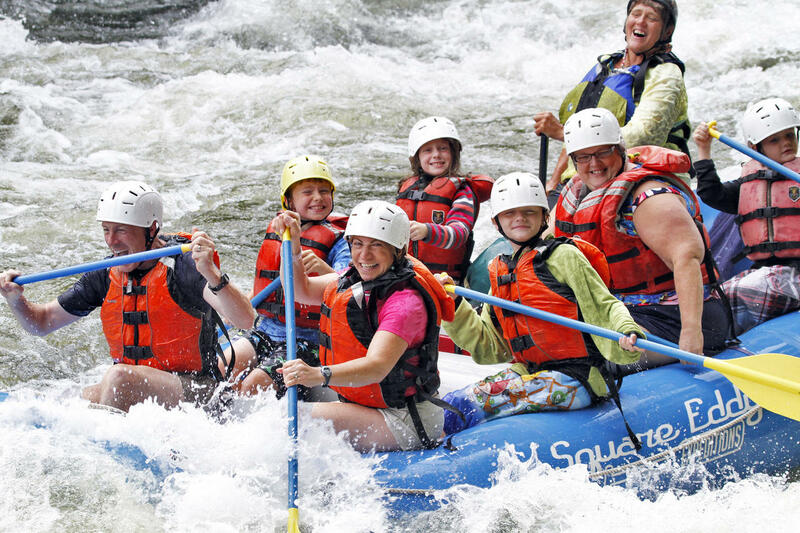 We invite you to raft with us and enjoy a full day of "laugh out loud fun!" 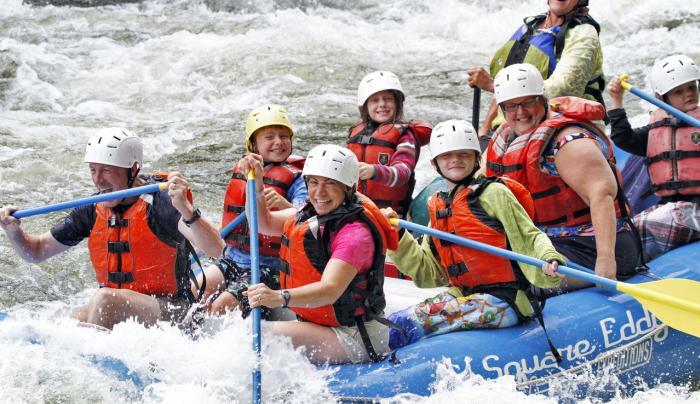 Your trip includes experienced New York State licensed guide, lunch, gear, and snacks. The Hudson River Gorge is 17-miles of Class II and III whitewater, Class IV Mother Nature dependent. Join us for a day an enjoy the wild, scenic Adirondacks. Spend the night under the stars and join our multi-day raft trips, or maybe a hike in - raft out expedition. In the winter season we have guided snowshoe hikes.